With seating for up to seven passengers and an affordable starting MSRP of $25,900, the Kia Sorento is one of the top picks among three-row family SUVs in Anaheim, CA. The new Kia Sorento V6 has a 3.3L V6 with 290 hp and 252 lb-ft of torque, and it’s able to tow up to 5,000 pounds. 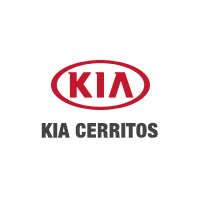 The new Kia Sorento has been named the #1 midsize SUV by U.S. News & World Report, and you can find it right now at your certified Kia dealership in Cerritos, CA. We’re open every day from 8:30 a.m. to 10:00 p.m., and you can reach us at (562) 860-2424. While you’re here, be sure to check out our comparison between the Kia Sorento and the Toyota Highlander, as well as our guide to the Kia Sorento towing specs.